The latest treatment to help reduce the appearance of a double chin. Professionally administered by our experienced doctors and registered nurses, this non-surgical treatment uses fat dissolving cosmetic injections to reduce the appearance of the dreaded double chin. You will need to consult with one of our medical professionals to determine your suitability. Australian Skin Clinics conducts a minimum of two treatments, with four to six weeks between. 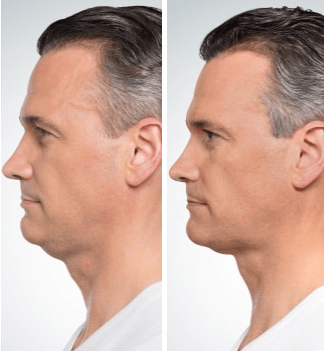 Why get Chin Sculpting treatments? 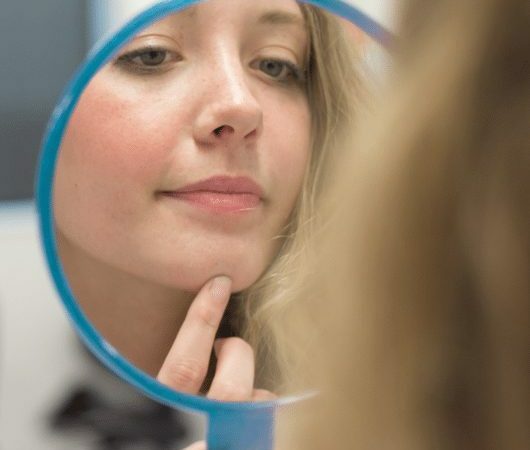 Reduce double chin – Once the targeted fat cells are eliminated from the body, fat can no longer be stored there and fat tissue under the chin is minimised. Effective treatments – We provide Chin Sculpting treatments through fat dissolving cosmetic injections. These injections effectively target the affected area to dissolve and eliminate the fat cells. Professionally administered – Every cosmetic injectable treatment is performed by our medical doctors and registered nurses, and requires a complimentary consultation beforehand. You’re in good hands with our professional doctors and nurses. The treatment uses fat dissolving cosmetic injections to target the fat under your chin. These injections target the affected area to dissolve and eliminate the fat cells. Once the targeted fat cells are eliminated from the body, fat can no longer be stored there and fat tissue under the chin is reduced. 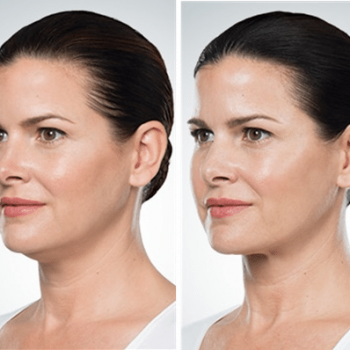 Chin sculpting results are usually seen after two treatments, four to six weeks apart. Keep in mind these results will vary from person to person. Let’s work together to see the changes you deserve. When booking your appointments, keep in mind that while you will able to resume daily activities shortly after your treatment, with the exception of avoiding exercise for a few days, you likely will experience some discomfort, bruising and swelling of the treated area for a number of days. Be sure to have a booking to see your cosmetic injector two weeks after treatment for a review appointment. Avoid microdermabrasion, chemical peels and needling in the area for at least 3 months post treatment. The ‘double chin’ effect is caused when a small pocket of submental fat develops just beneath the jawline. It is usually caused by ageing, genetics or weight gain and unfortunately, diet and exercise often does little to remove it. How long does chin sculpting take? You’ll have your initial 15-minute consultation with your injector and then each treatment is allocated 30-60 minutes. Two treatments are required for the best results, these two treatments are generally spaced 6 weeks apart. What is the patient downtime like for chin sculpting? Clients can return to work the following day after treatment, however avoid strenuous activity for a number of days and keep in mind it is possible for bruising to remain for up to three weeks. 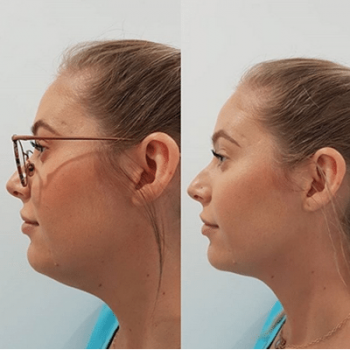 What is the difference between chin sculpting and jaw sculpting? Jaw sculpting is different to chin sculpting because it is focused on slimming the face, rather than reducing fat under the chin. Unlike chin sculpting, jaw sculpting treatments inject anti-wrinkle injections into the masseter muscles (the two “chewing” muscles on your jaw, below your ears). What is the difference between chin sculpting and liposuction? Liposuction removes fat surgically, whereas chin sculpting treatments are conducted with an injection into the area that dissolves fat. Due to the surgical nature of liposuction, more patient downtime is required for recovery.